Putins plan to destroy America is wroking....According to the Nuts in the Left and Mainstream media. Agent Orange administration has announced today that it will suspend and stop following the Intermediate-Range Nuclear Forces Treaty. It means the US will now stockpile and create nuclear warheads and missiles and enlarge and upgrade America's nuclear weapons program and stockpile. Putins plans to destroy America by ordering agent Orange (President Trump) to Slap Sanctions on Russia, destroy Russia's economy, Challenging Russia in every part of the globe, build up the US military, create US jobs, a booming US economy, sending US weapons to Ukraine, and now the latest plan to destroy America is by suspending the nuclear arms treaty with Russia to allow America to build nuclear weapons and missile delivery systems and upgrade American nuclear arsenal against Russia. @FactsMatters @SaremChuuk @redsnapper @visafree @errr @SakaSaka, any thoughts on this girls? why is agent Orange suspending this treaty to upgrade US missile and nuclear technology is response to Russia? WASHINGTON — President Donald Trump said Friday that the United States is ready to withdraw from a crucial nuclear weapons treaty with Russia on Saturday, a move that has sparked concerns of a budding arms race between the world's two biggest nuclear powers. "Tomorrow, the United States will suspend its obligations under the INF Treaty and begin the process of withdrawing ... which will be completed in six months unless Russia comes back into compliance by destroying all of its violating missiles, launchers, and associated equipment," Trump said in a statement. "We cannot be the only country in the world unilaterally bound by this treaty, or any other. We will move forward with developing our own military response options and will work with NATO and our other allies and partners to deny Russia any military advantage from its unlawful conduct," Trump added. In October, Trump said the U.S. would withdraw from the Cold War-era pact and sent national security advisor John Bolton to personally deliver the decision to the Kremlin. Russia, Trump said, has violated the arms agreement by building and fielding the banned weapons "for many years." In December, Secretary of State Mike Pompeo cited material evidence that Russia has quietly added nuclear-tipped missiles that are currently banned by the treaty to its colossal arsenal. He said Russia has developed "multiple battalions of the SSC-8 missiles," a move that falls outside the arms agreement. "Its range makes it a direct menace to Europe," he said after a meeting with his NATO counterparts. NATO also called on Moscow to "return urgently to full and verifiable compliance." "It is now up to Russia to preserve the INF Treaty," NATO foreign ministers said in a joint statement. "Now it seems our American partners believe that the situation has changed so much that the United States must also have such a weapon. What's our response? It's simple: in that case we will also do this," Putin said. "We stand ready to engage with Russia on arms control negotiations that meet these criteria, and, importantly, once that is done, develop, perhaps for the first time ever, an outstanding relationship on economic, trade, political, and military levels," Trump said adding that "this would be a fantastic thing" for Russia, the U.S. and the world. I somehow fail to see why Putin would want this. This treaty prohibits the Americans from making nuclear weapons or upgrading their missiles or arsenal. Semantics. Look it niggas. Orange face carrying out putins instructions to destabilize US. Meaning do things his military commanders and intelligence chiefs are advising against. Like Pulling out of the missile treaty? US allies in Europe and NATO support US pulling out of this treaty. NATO allies fully support US cancelling Missile treaty. NATO headquarters released the following statement 2 days ago after false claim from CNN that NATO allies didn't support the move. The media and democrats keep selling the dead horse conspiracy theory that Trump is working for putin. With this latest move by TRUMP the entire conspiracy witch hunt dies. But as we know CNN must give hope to its never-trumpers. This Democrats started russian witch hunt has overtook the Rothschilds controlling the world conspiracy theory. Agreed and the Obama was born in Kenya. And favorite Trump real skin color is white. This is why i don't buy this entire collusion story. Why in the hell is Trump scrapping this deal which gives Moscow and Putin a lot of leverage against the US in terms of Missiles and Launchers and warheads? Putin is spinning in on his head right now cursing the hell out od Trump because now the US which have a lot of money and has more advance missile technology will now upgrade its fleets of offensive missiles and launchers against Russia. This is also why i think is wasting his time with this investigation. The media sold us a bill of goods and we foolishly bought it. The conspiracy is believed by the losers of 2016.
can someone explain what the meaning of the word "collision" ? btw, IY, you don't get it how this all work out for Russia? baby food brother its all baby food..
Jeh Johnson: "No evidence of votes were altered or changed during the election of 2016 despite russian interference"
-Jeh Johnson was Obama's director or Homeland security. Donald Trump won the 2016 election — and it wasn’t because of the Russians. After more than a year of extensive investigations, there is not one iota of evidence the election results were hacked or otherwise successfully manipulated by the Russians or anyone else. Obama on Decmeber 16, 2016...a 2 weeks before the election says: "There is no way that our election can be hacked and anyone who says they can is wrong." 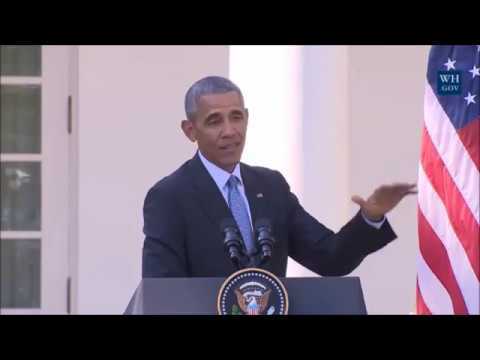 here is the video of obama saying just that. six of the indictments all lied about their meeting with the Russian during the campaign, these a plain sight of collusion, what are you talking about?. unless your view is one sided..
Where is the collusion my liberal niggas?